The set of stamp was officially issued on September 16, 2006 with an issuing ceremony in Hoi An Town of the central province of Quang Nam. 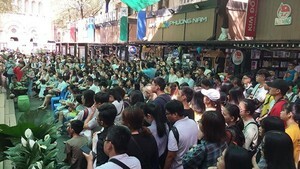 It has only one design of a flock of doves in blue sky, symbolyzing peace, cooperation and friendliness. 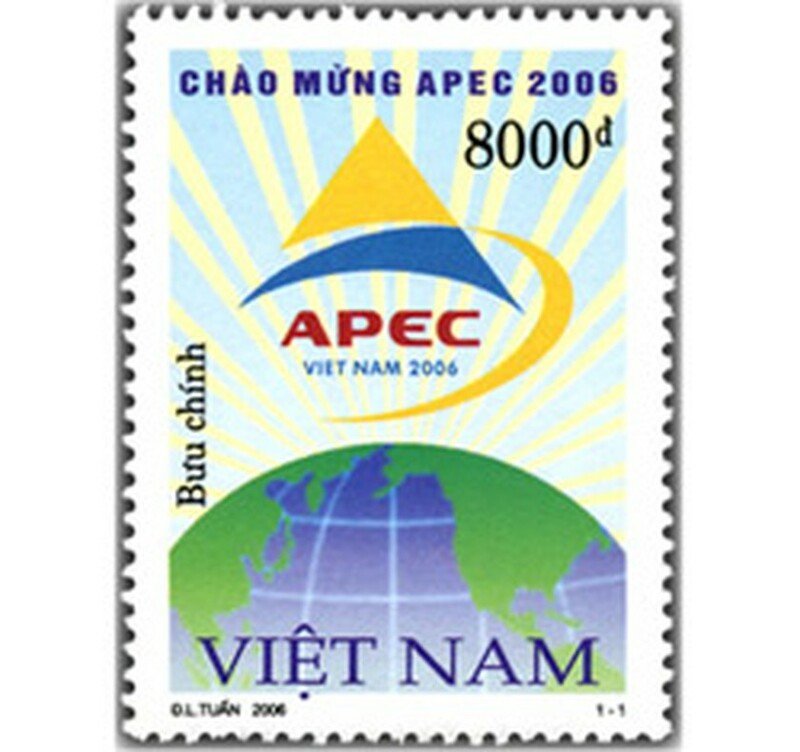 In addition, there is the logo of of APEC 2006 meeting on the stamps. The non la (Viet Nam’s conical hat) indicating that the Vietnamese people are always friendly, hospitable is surrounded by an eclipse globe implying the effective and harmonious movement of APEC with the world’s. The words of “APEC VIET NAM 2006” manifest orientation of sustainable development and APEC members’ determination for success by all efforts. The 32x43mm stamps are worth VND8, 000 a set.